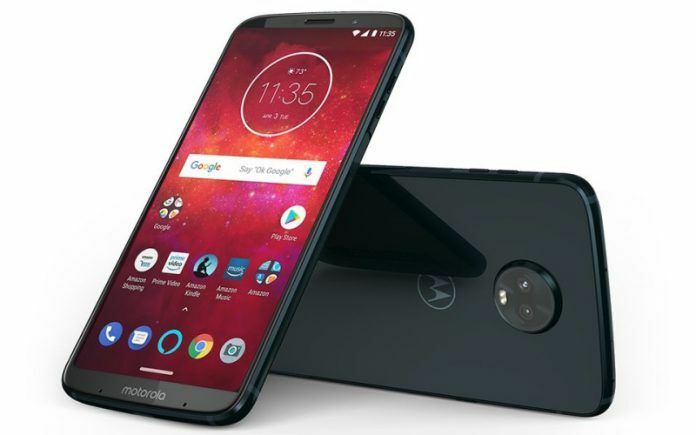 Motorola unveiled its latest flagship smartphone, the Moto Z3, at the even that just concluded. The smartphone is one of the first to have 5G capability with a special mod. Motorola was expected to launch as many as three smartphones. But the company only announced one, its 2018 flagship, the Moto Z3. However, the company also unveiled an interesting modular attachment that will usher in the era of 5G, called the 5G Moto Mod. The mod will ride on the millimeter wave (mmW) technology which offers several benefits in terms of bandwidth, and assures a connection that’s free from congestion troubles. 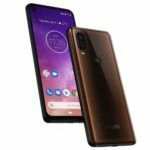 The Moto Z3 features a 6-inch Full HD+ Super AMOLED display with a resolution of 1080×2160 and an 18:9 aspect ratio. Incidentally, the display doesn’t have the increasingly common notch at the top. Octa-core Snapdragon 835 SoC clocked at 2.35GHz powers the device. The smartphone packs 4GB of RAM and 64GB of internal memory. A micro-SD card can further expand the storage capacity. Moto Z3 also offers a rather uniquely placed side-mounted fingerprint scanner. The smartphone runs on Android 8.1 Oreo, and offers an interesting gesture navigation UI powered by a single slider button. The device is is splash resistant. 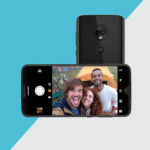 The Moto Z3 offers a dual camera setup on the back. There’s one color 12 MP f/2.0 sensor with 1.25um pixels and another 12 MP monochrome sensor. A dual-LED flash accompanies the rear camera. The sensors do have a f/2.0 aperture. The smartphone has a 8MP front camera with with 1.12um pixel size and a wide-angle 84-degree lens for selfies and video-calling. Interestingly, Motorola has baked in Google Lens into the rear camera. This facility unlocks dynamic information presentation to Moto Z3 users when they point the camera at any object, building, shop, establishment or geographical landmark. The 2018 flagship smartphone from Motorola packs a rather humble 3,000 mAh battery pack. However, the battery supports fast charging with Moto’s TurboPower solution. Motorola includes a 15-watt TurboPower charger in the retail box. Connectivity options include 802.11 b/g/n/ac WiFi, Bluetooth 5.0, NFC, GPS, and a USB Type C port for charging and data transfer. Sadly the Moto Z3 lacks the 3.5mm headphone jack, but a USB Type-C to 3.5mm jack adapter is provided. 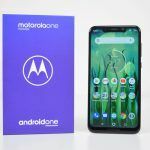 Motorola is one of the first companies to commercially launch a smartphone that is capable of supporting the next generation of mobile and internet connectivity. Strangely, the Moto Z3 appears to lack an inbuilt 5G antenna. Incidentally, Qualcomm had recently displayed the world’s first truly miniaturized 5G antenna that can be embedded in multiple quantities within electronic devices. 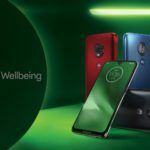 To offer 5G connectivity, Motorola has embedded Qualcomm’s X50 modem within a module that’s called the 5G Moto Mod. The 5G Moto Mod is a module that attaches itself on the back of the Moto Z3 to enable 5G connectivity. In addition to being able to connect to the millimeter wave (mmW) technology that’s being used to deploy 5G in certain areas, the 5G Mod also includes a 2,000mAh battery. In essence, the 5G Moto Mod can also serve as an additional source of power for the Moto Z3. There are only a few cities in America that have 5G. But the 5G Moto Mod opens up several possibilities without encumbering the smartphone with additional embedded hardware. The clip-on additional battery feature is also a bonus. Motorola launched the Moto Z3 at a list price of $480, which translates to Rs. 33,000 approximately. The smartphone will be available in ceramic black color. The 5G Moto Mod will be available later. The company has currently launched the smartphone only for the U.S. market. Motorola hasn’t officially confirmed availability of the flagship smartphone in India yet. 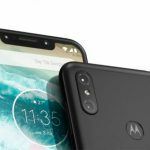 But it is quite likely that the Moto Z3 will soon launch in India. 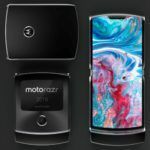 Sadly, the event only included the Moto Z3 and the 5G Moto Mod. 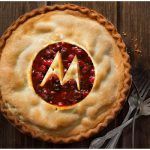 There is currently no information about the eagerly awaited Motorola One Power and the Moto One smartphones. 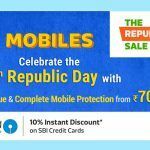 We at MSP Gear will certainly update our readers as and when new information about these smartphones is available.